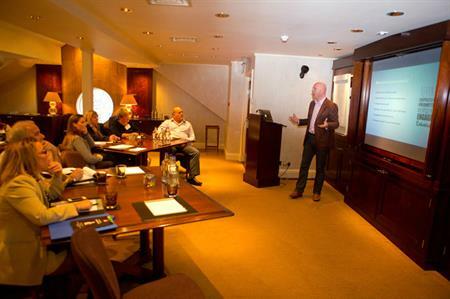 Sign up for C&IT's 2015 Corporate Forum and join event managers from brands including Centrica, Danone, Canon, PepsiCo and Colgate-Palmolive for two days of education and networking at Chewton Glen, Hampshire. Speakers confirmed for the event, which takes place on 22-23 January, include representatives from Royal Bank of Scotland, Financial Times, Absolute Radio, BlackRock, Brewdog and Timetric. C&IT's Corporate Forum provides the opportunity for senior corporate buyers and in-house professional organisers of B2B events to share best practice and discuss key issues with peers in an informal environment. Delegates take part in workshops and meetings with industry suppliers on a one-to-one basis. Corporate event planners interested in attending can register here. Clare Melton, head of events and hospitality, Corporate and Commercial Banking for Royal Bank of Scotland; Daniel Thomas, director of business development, B2B, EMEA and The Americas, Financial Times Live Conferences & Events; and Absolute Radio marketing director Clare Baker are among this year's confirmed speakers.